Real estate in Las Vegas has set the bar high for the rest of the country. Las Vegas, much like the rest of the country, hasn’t been able to alleviate the inventory crunch. Median home values in Las Vegas have increased at more than twice the rate of the national average. Few housing markets have experienced a boom in sound fundamentals on the same level as the Las Vegas real estate market. 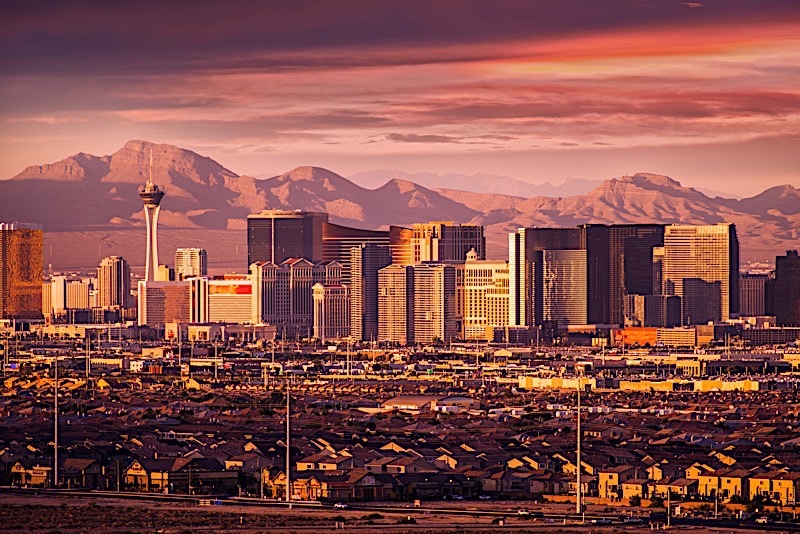 As a result, Sin City has become the beneficiary of some rather impressive appreciation rates, the likes of which many homeowners thought were impossible just a few short years ago. Median home values in Las Vegas have actually increased at a rate of more than two times the national average in the last 12 months, and there’s reason to believe the next year will witness similar gains. There is no doubt about it: the Las Vegas real estate market is firing on all cylinders, and savvy investors that exercise the right exit strategies could benefit immensely. The Las Vegas real estate market is nothing, if not on fire. Few housing markets across the country, for that matter, have benefited greater from sound fundamentals than Las Vegas. Of those fundamentals, few are more pronounced than the appreciation of home values. In the last year alone, median home prices in Las Vegas have shot up 16.6%, and now rest somewhere in the neighborhood of $247,700, according to Zillow. To put Las Vegas’ numbers into perspective, the median home value in the United States has gone up 7.6% in the last year, and is now about $210,200. Real estate in Las Vegas is about as hot as Las Vegas Boulevard on a summer day. What’s more, despite a slowdown in appreciation rates, home values in Sin City are expected to continue rising for the foreseeable future. If you are interested in Las Vegas real estate investing, pay special considerations to the direction of increasing home values. As home prices continue to increase, exit strategies may change. For example, those investing in Las Vegas real estate may way to prioritize passive income properties to take advantage of the high rates, and perhaps even offset some of the higher acquisition costs. In the last year, Las Vegas has seen a 34% decline in homes that received a foreclosure filing. That said, there are still plenty of distressed properties in the Las Vegas area. According to RealtyTrac, there are about 3,270 homes in some stage of foreclosure (default, auction or bank owned). More specifically, however, there are about 3,270 opportunities for investors in tune with the local market. If for nothing else, distressed properties, otherwise known as foreclosures, represent a great opportunity for those interested in Las Vegas real estate investing. The median sales price of a non-distressed home was $230,000. The median sales price of a foreclosure home was $192,000, or 17% lower than non-distressed home sales,” according to RealtyTrac. For those of you keeping track, distressed homes can be acquired for an average of $38,000 less than their non-distressed counterparts. Foreclosures represent a great opportunity for investing in Las Vegas real estate. That said, if you are going to take advantage of foreclosures, you need to now where to look. According to RealtyTrac, you could do a lot worse than looking at pre-foreclosures, or those homes that have received a notice of default but have yet to enter into the foreclosure process. At the time of this writing, RealtyTrac suggests 66.1% of all the distressed properties in Las Vegas are of the pre-foreclosure nature. The Las Vegas Real Estate market has set the bar high, at least in terms of appreciation. Few markets, for that matter, have been able to keep up with real estate in Las Vegas, as median home values have risen an impressive 16.6% in the last 12 months. It is worth noting, however, that home values are the result of a perfect storm. Las Vegas is, for all intents and purposes, a healthy real estate market, which means it favors neither buyers nor sellers. However, Las Vegas hasn’t been able to escape the same fate as the rest of the country: a distinct lack of inventory. The lack of available options in an otherwise healthy market has managed to drive prices upwards at a historic pace. Not to surprise anyone, but the increases currently shows no signs of slowing down. At its current inventory level, there’s no reason to think the Las Vegas real estate market won’t boast a median home value of $263,000 by this time next year. Of course, steps are being taken to increase inventory, but help could be at least a few years away. Until then, expect prices to march upwards. The Las Vegas real estate market has paced the recovery for most of the country. Whereas the median home value across the United States has increased 7.6% in the last year, real estate in Vegas has doubled that. What’s more, many experts are suggesting the same thing could happen in the coming year. There’s no reason to think the Las Vegas housing market won’t double the appreciation rate of the national average. With prices on the rise, investing in Las Vegas real estate may seem like a moot point, but I digress. Despite prices rising in the last year, there are still deals to be had. As I already alluded to, foreclosures represent a great opportunity to acquire a deal at a significant discount. However, investors looking into a market with appreciation rates like Las Vegas may want to evaluate their exit strategies. When prices are on the rise, as they are in Las Vegas, it may be worth looking at a buy and hold strategy. That way, months or years of rent could offset the higher asking price. Las Vegas has set the tone for today’s real estate investors; it has been great for those that got into the market a few years ago, and it looks like it’ll continue to be great for the foreseeable future.